I’ll admit…when I first saw emails and facebook posts titled “Save The Gurdwara”, I immediately dismissed it, thinking it was yet another mismanaged Gurdwara falling in to bankruptcy or one group trying to overthrow another. But after I read the website and confirmed some of the details with contacts in Austin, I was shocked by what had occurred. By now most of you know that in 2007, the city of Austin, Texas approved the building of a permanent Gurdwara on land the Sikh community had purchased back in 2003 and where they’ve since been having regular weekly services in a makeshift home. Shortly after construction began, a couple who recently moved nearby the Gurdwara (the Bollier’s), filed an injunction to block construction on the grounds that it would be an eye-sore, increase traffic, and lower property value. In March 2009, a district court denied the couple’s injunction in favor of the Austin Sikh community and construction of the Gurdwara was allowed to proceed. Unfortunately, this victory would be short-lived. Sixteen months after the original victory and construction now complete, an appeals court has overturned the lower court’s ruling and has ordered the entire structure to be torn down – needless to say, the Austin Sikh community is devastated! As many of us would, I immediately thought this was a blatant act of racism, but as I read the website several times, I noticed there is no accusation of this being racially-motivated. I applaud the Austin sangat for taking the “high road” and not pulling the race card until there is clear evidence of racism or bigotry, but I must say…it sure does smell like it! I mean, “Lower their property’s value?”…really? Somewhere in all the disappointment and frustration of this situation, I am still impressed with how Sikhs manage to come together in a time of need. Emails are circulating through all the networks, people are dedicating their facebook pictures and statuses to the “Save the Gurdwara” movement, and some of our talented MC’s have written songs to help rally and inspire the community. I appreciate how the Austin Sikh community has managed to re-group and pull themselves together after this upsetting news. Rather than being reactive, or publicly lashing out – they have instead decided to step back and collect funds. It is through these funds they can assemble a professional legal team that can best represent them in what is likely to be a long and ugly court battle. This is a very proactive and strategic approach, as I’ve seen other communities in similar situations only appeal for funds once the community is bankrupt and already begun to compromise the quality of their legal effort. In a time where “ethnopphobia” is running rampant through politics and political discourse, it very likely this case will gain media attention throughout the state of Texas, and possibly the national stage. So in this relative calm before the storm, I think we must pause and ask ourselves…what would Guru Sahib do? How would he guide us? What does Baani tell us? What examples from the Guru’s life history can we reference? One thing that always fascinated me about the sakhis of Guru Nanak was the way in which he influenced others. He did not use physical might, but chose words instead. But even more than his words, it was the love in which he expressed them, it was his uncanny ability to relate and connect with people from all walks of life. He had a personality and a “fragrance” about him that made people want to follow. We now have an opportunity to share the Guru’s radiance. We have an opportunity to show the world exactly who Sikhs are and how wonderful it would be to live near such a loving, compassionate, and socially active community. I have faith that cooler heads will prevail. Let’s not forget, it was the Texas Board of Education who recently voted to include information on Sikhs and Sikh practices in the state-mandated curriculum for public school students. The Austin Sikh community must be assured that the 25 million Sikhs all over the world stand behind them in solidarity. That said, the financial responsibility for this case should not fall on their shoulders alone…this is our fight…and I encourage everyone reading this to make their donation at http://www.savegurdwara.com/. I’m sure that if we not lose sight of what this is all for, and keep the Guru as our guide – with His grace – the Sikhs of Austin will open the doors of its new Gurdwara to the public soon, and welcome the whole community with open arms to celebrate…even the Bollier’s. As I see patterns and trends on the way Sikhs are portrayed in the media, that incident always comes to mind. Seeing how positive acts from Sikh individuals rarely mention the word “Sikh” yet negative acts from Sikh individuals turn in to an “exposé” of our community, I started to wonder how non-Sikhs were learning about us and what can we do to proactively present a more accurate image. Here in North America, our approach to public relations and education is largely reactionary. After a violent event at a Gurdwara, we explain to the public how Sikhs are not violent. After September 11th, we explained how we’re not terrorists. It seems we spend more time explaining who we’re not rather than who we are. There are some positive efforts as well. Traditionally, many Sikh communities flood the interfaith networks as a means of outreach. I’ve participated in many interfaith events over the years, and although it may be beneficial for relationship building and dialogue, its impact on educating large parts of society over time is debatable. In the past few months, somewhere in the plethora of press release emails I receive from Sikh organizations, I learned of two significant initiatives by the Sikh Coalition that seemed to pass quietly without much fanfare. Experts estimate that the decisions made by the Texas Board of Education affect the textbooks used in 46 other states because it is one of the largest purchasers of textbooks in the nation. This accomplishment shows that by being proactive and working at a grassroots level to mobilize the local community, establish strategic partnerships, take a professional and systematic approach, and patiently work through the process – people will listen and policies will change. This is a major achievement – what better way to educate people on Sikhs and Sikhi than through the school system? Another impressive initiative is the Sikh Coalition Presenter’s Course that was launched this past February in New York City. After a rigorous application and interview process, 15 students are selected to participate in an intensive 3 day training course led by a public speaking expert and Sikh Coalition staff members. Those who complete the course and pass their evaluation become certified Sikh Coalition presenters. In addition to public speaking skills, presenters are trained to deliver a standard presentation on Sikhi that has been reviewed, discussed, and vetted at length. 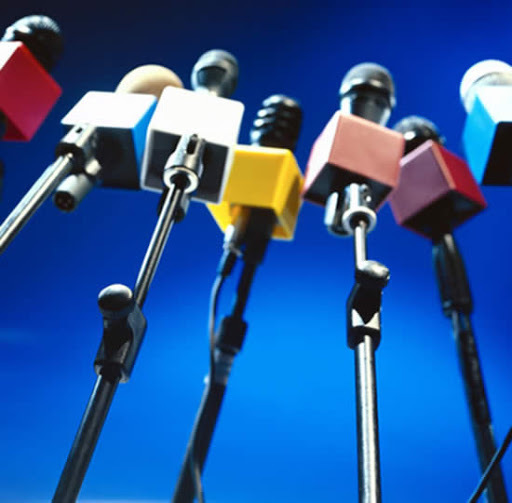 Certified presenters must make 2 public presentations a year to maintain their credential and are regularly provided updates as materials are revised. Rather than re-inventing the wheel every time a presentation is needed, now one community can have several resources prepared with a standard presentation and consistent message. Imagine having 15 people in your community who can respond to any incident at a school or workplace with such a presentation, or better yet, proactively seek out opportunities to educate! Check out the YouTube video to learn more about the course. Other cities have already inquired on how the presenter’s course can be brought to their community. You might ask – why is education so important? Sikhs have settled here for over a hundred years with our identity intact, Sikhs have been elected to public office and hold senior corporate positions, why waste the resources? Or as some commenters have challenged me in previous posts, “who cares what the goray think of us?” That attitude might be okay for some people…not for me. As long as Sikh passengers are being profiled, Sikh kids are being bullied, and Sikh taxi drivers are being attacked…then we have a job to do. And even then, I don’t want my children and grandchildren to simply “settle” here in the US and still be looked at as foreigners. I want Sikhs to have a voice and be recognized as the law-abiding citizens and the community activists we are. I’d like us to be viewed as a powerful and influential community who must have a “seat at the table” in policy decisions. Unless people know who we are, what we’re about, and what we stand for, how can we expect to be heard and have our issues addressed? All of this requires us to shift our paradigm when it comes to education and congratulations to the Sikh Coalition for taking the lead and being proactive! Now what can you do? In addition to bringing the presenter’s course to your community, what changes can you make at your local Gurdwara? Gurdwaras are still a good place for education and outreach. What about the creating a “Welcoming Committee” that prepares materials for non-Sikh visitors, facilitates organized tours, and perhaps invites community groups and neighbors to visit the Gurdwara? What if this committee organized charity or social events for their local surrounding community to participate in? Anybody have any other tangible ideas to share?